The coastal province of KwaZulu Natal has just about everything – historical battlefields, architecture and memorials, first world shopping malls, Victorian-cottage shabby-chic suburban living, tribal settlements in rural areas, towering basalt mountains, warm seas, world-class wetlands, wildlife game reserves, hiking and snorkelling opportunities, vibrant markets, an annual sardine run, and a strong Indian, Zulu and colonial influence. One of two World Heritage Sites in KZN, the 240 000 hectare park includes the highest mountain range in Southern Africa; the bulk of it designated game reserves, wetlands and wilderness areas. Its huge sandstone cliffs, towering peaks, tumbling valleys, sculptured caves, arches, rock pools, and clear streams and waterfalls make it one of the most scenically rich attractions in the country. 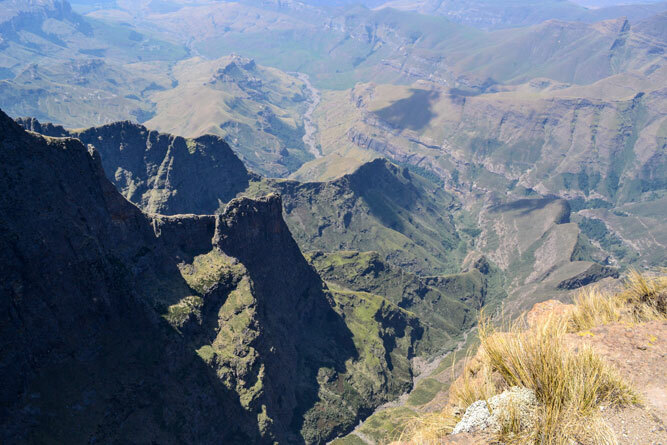 Combined with the Sehlathebe National Park in Lesotho it forms the trans-boundary Maloti-Drakensberg Park. uKhahlamba protects endemic and globally important plants as well as endangered species, like the Cape vulture and bearded vulture. The second of KZN’s World Heritage Sites, iSimangaliso has such a rich biodiversity that it said to have more animal species than the Kruger National Park. 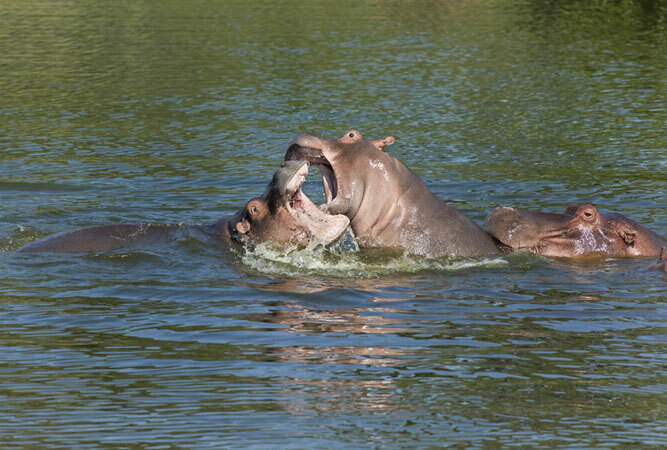 These include hippos, sea turtles, elephants, humpback whales and well over 500 bird species. A patchwork of lake systems, the bulk of the country’s remaining swamp forests, Africa’s largest estuarine system, 25 000 year-old coastal dunes, 220 km of beach, coastal forest, grasslands, coral reefs and a rich underwater life combine to make the park one of the country’s most popular destinations. As its name implies the Midlands are the middle lands of KZN; the area away from the coast. 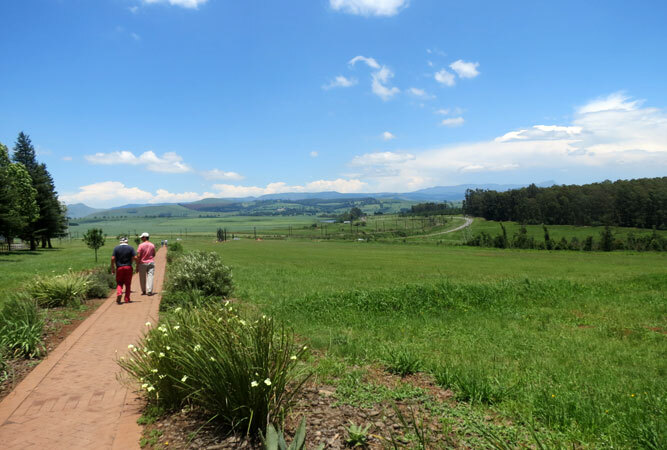 They lie between Pietermaritzburg and the Drakensberg, a charming region of green hills, farmland and quaint towns. Dominated by the foothills of the Drakensberg Mountains this part of KZN is a water-rich, forested and undulating landscape that is today best explored on the Midlands Meander and the Midlands Amble, two self-drive routes that take in the arts and crafts, and historically relevant highlights of the area. Highlights include: nature trails, picnic spots, spaces for fishing, birding, places to walk and wilderness areas and nature reserves to visit. 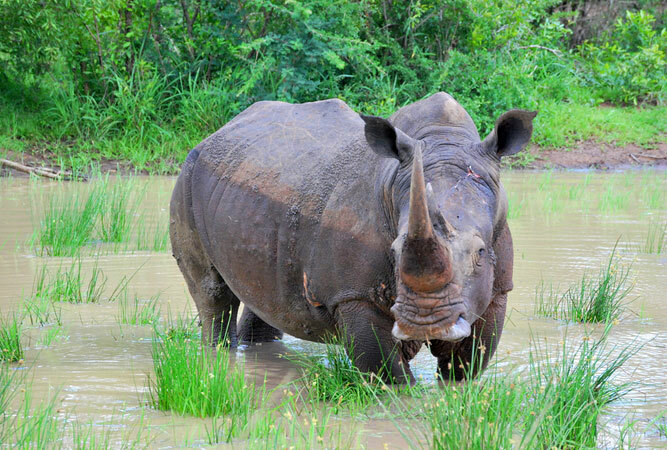 This big-five game park is not only the oldest proclaimed nature reserve in Africa, it is also a sanctuary for threatened white rhinos; said to have the largest white rhino population in the world. The park is divided into two discrete areas – the northern more mountainous and forested portion is known as Hluhluwe, whilst the southern Imfolozi is given over to rolling savannah. Aside from rhino the reserve has over 340 species of bird, a large and healthy elephant population, cheetah, hippo, hyena, jackal, giraffe and wild dog. The south coast, between the southern perimeters of Durban and Port Edward, is historically a beach holiday mecca. 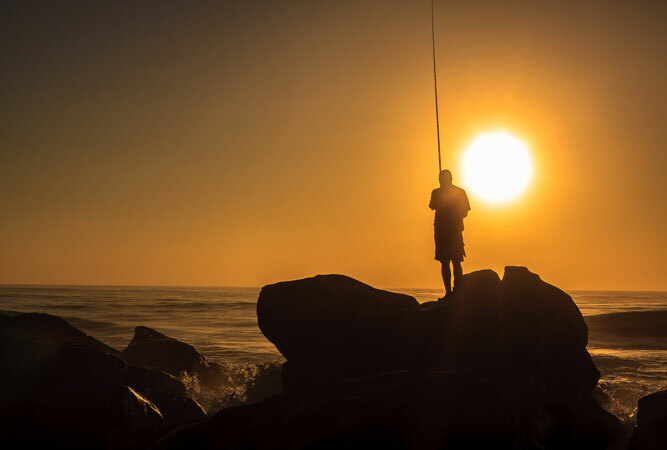 Many of the beaches along the south coast of Durban fly the blue flag – Lucien, Marina beach, Pennington, Ramsgate, Southport, Trafalgar, and Umzumbe – but even those that don’t, still offer clean, safe and beautiful beach side downtime. Other beautiful beaches include: St Michaels on Sea, Southbroom, Shelly Beach and now an official first nudist beach for KwaZulu-Natal on the Hibiscus Coast, Mpenjati Beach, next door to the Blue Flag Trafalgar Beach. 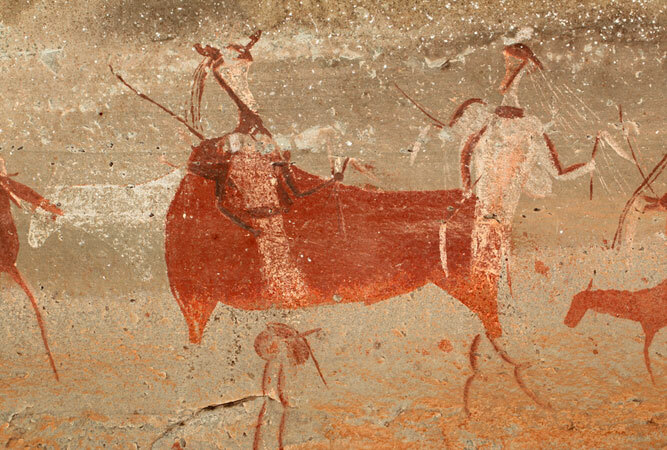 The uKhahlamba Drakensberg Park has some 30 000 painted San rock art images in 520 rock shelters, many of them hidden away in remote caves, and most of them made around 4 000 years ago by the San people. They depict different animals, people and subjects said to represent the spiritual life of the San, who no longer live in the area. It was because of this collection of rock art – the largest group of rock paintings south of the Sahara Desert in Africa – that Ukhahlamba attained its World Heritage Site status. Major sites include: Game Pass Shelter, Kamberg; Didima Gorge, Cathedral Peak; and Main Caves, Giant’s Castle. The annual sardine run hits the KwaZulu Natal coastline every year in June or July. 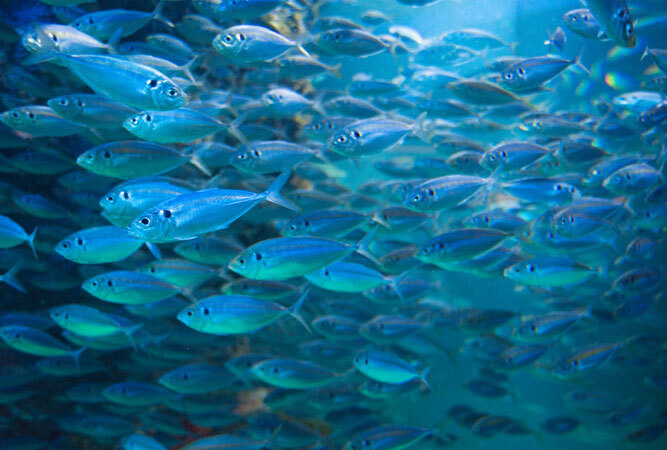 The natural phenomenon sees huge shoals of sardines (literally billions of the little fish) move in a band up the coast. They swim for over 30 days from their spawning ground in the Cape, right up the country’s east coast. Their sheer number (the shoals can stretch for kilometres) results in a feeding frenzy as sharks, dolphins, seals, whales and two-legged fisherman head out to catch as many from the ball of sardines as they can. After an absence of two years, the shoals ran again this year. The rocky reef of Aliwal Shoal is an ancient sand dune lying 5 km off the coast of Umkomaas. 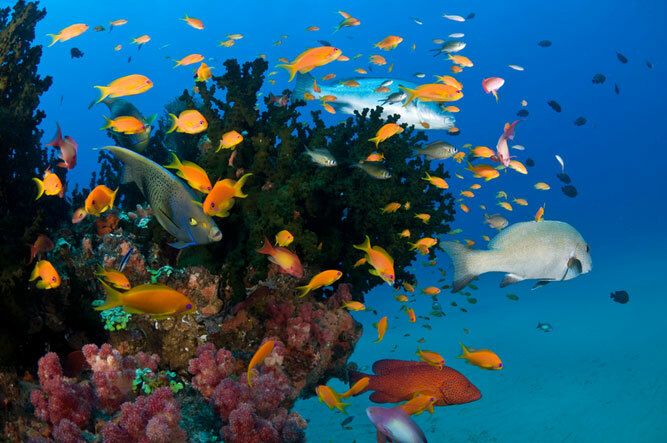 On the reef live any number of different kinds of hard and soft corals and a variety of subtropical and tropical fish. It is particularly well known for the numbers of grey nurse sharks (also known as raggies or ragged tooth sharks) between August and November. The cathedral of the reef is one of the country’s most spectacular diving sites, as are Raggie Cave and Shark Gully. The world’s smallest red desert lies 170 km from Durban just southwest of Port Edward. Only 11 hectares in size it forms an almost near perfect circle in the middle of the lush green south coast. From the desert are beautiful views over the Umtamvuna Gorge and a number of Stone Age artefacts have been discovered in the area. 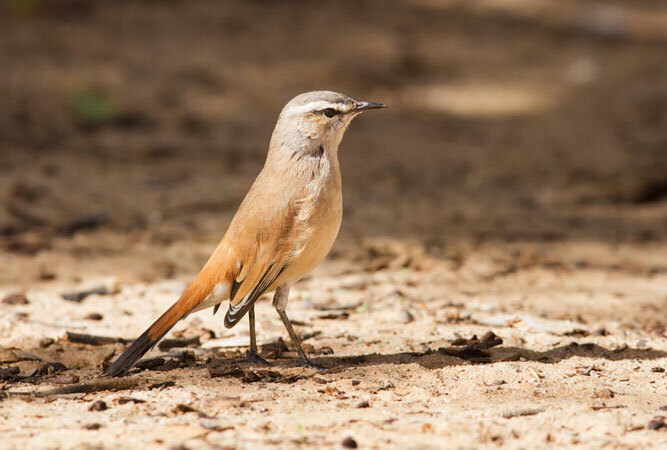 The Red Desert is rated as one of 24 plant hotspots recognised worldwide, yet at the moment it remains unprotected until conservation plans can gain traction. Try to remain on the footpath when you visit. Just west of Port Shepstone lies a spectacular gorge, its sides hewn into steep, sheer cliffs. It is named after a small, endangered antelope that makes the gorge its home. These sandstone cliffs are considered as old as 365 million years and provide some of the most dramatic scenery on the south coast. There is also the opportunity to abseil, mountain bike, white water raft, and hike. 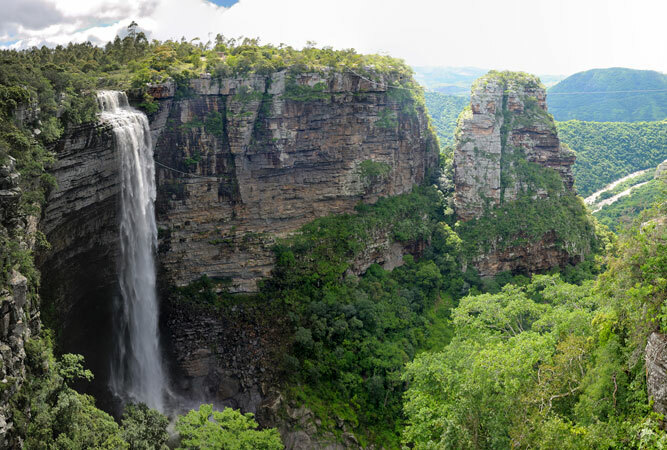 Oribi Gorge was proclaimed a protected forest as early as 1950 and is home to a private nature reserve. The gorge has more than 500 plant species, including orchids, proteas and various cycads; there are over 255 bird species, including the fish eagle and Cape vulture, and the rare samango monkey makes the gorge its home.